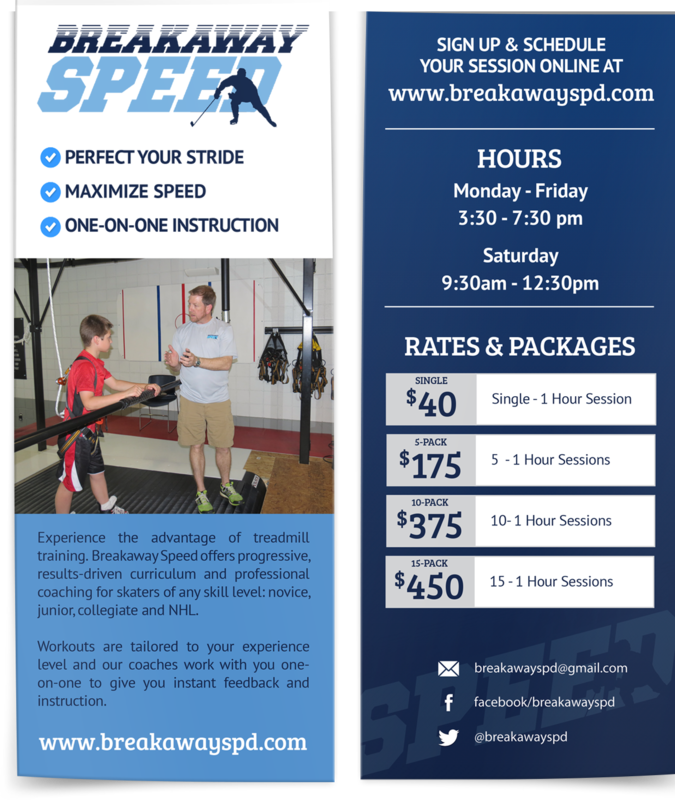 Breakaway Speed offers specialized stride and speed training for hockey players of all ages and skill levels. The skating treadmill is located at Georgetown Ice Center in Hudsonville, Michigan. 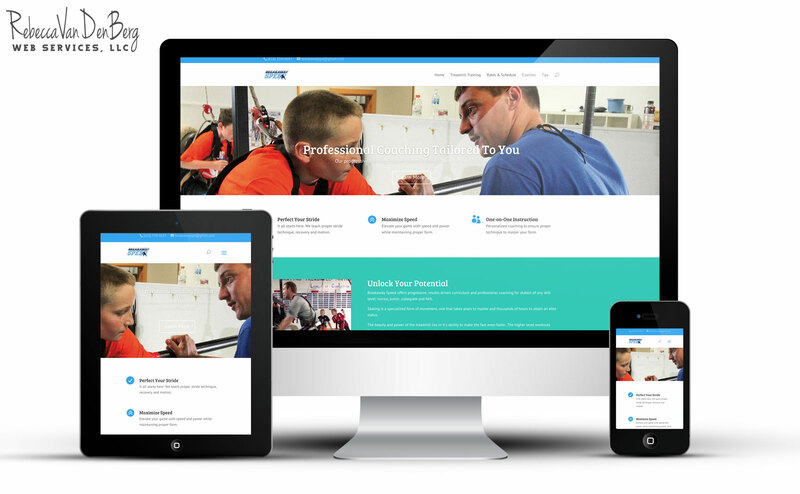 RVWS provided the new company with logo design, branding & social media consultation as well as a new website. 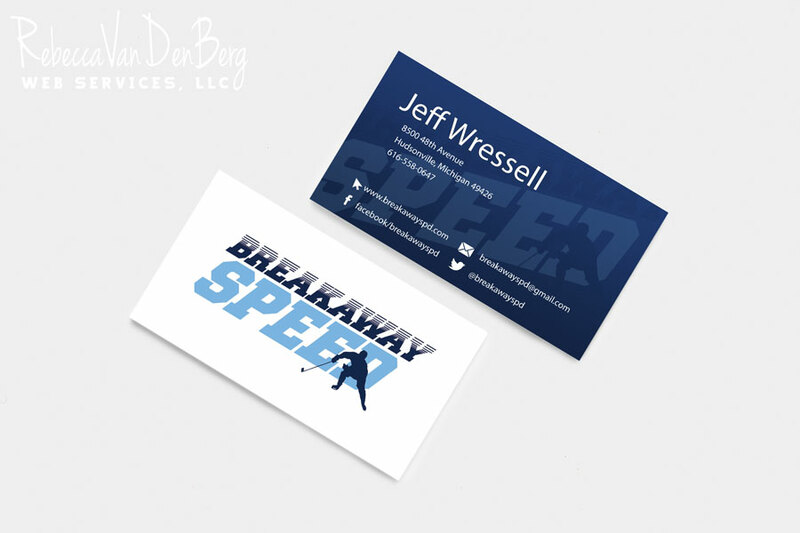 Breakaway Speed is a joint venture for hockey coach, Jeff Wressell and long time hockey skating coach, Carrie Keil. We first met these coaches while our 10 year-old played hockey this past year. We had the privilege of having our son skate on a treadmill that Carrie runs out of Ann Arbor, Michigan and were impressed with the technology. RVWS provided consultation on social media networks, branding, signage and various printed marketing materials as Breakaway Speed launched the new treadmill in April 2015. 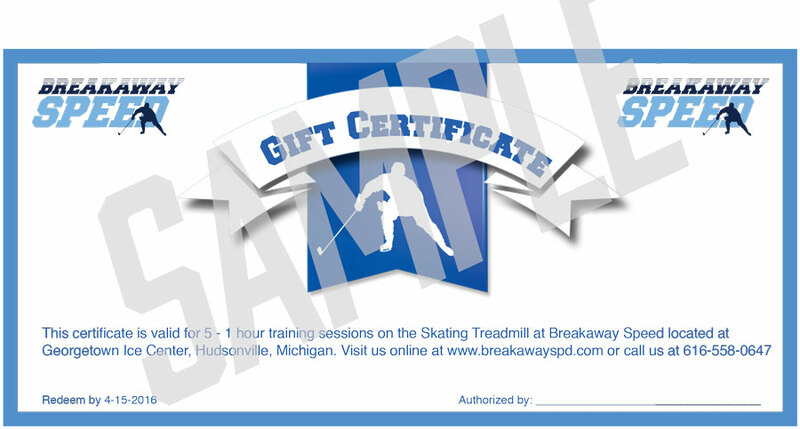 Below are samples of business cards and custom, branded gift certificates. Many small business don’t always think about branding when they have to come up with a small item like a gift certificate for a charity auction or sponsorship. But having a consistent message and image that you share about your business builds brand recognition. This is an important marketing concept for old and new businesses.